The City of Philadelphia has issued a brand-new report, “Brotherly Love: Health of Black Men and Boys in Philadelphia.” This first-ever report is intended to highlight the unique challenges faced by Black men in Philadelphia today and lay the groundwork for actionable steps we all can take to improve their health outcomes. Among the key findings in the report, school-aged Black male youth have the lowest rates of obesity compared to other racial/ethnic groups. Health insurance coverage among Black Philadelphians is at an all-time high following the implementation of ACA/Medicaid expansion, with 90 percent of Black adults having health insurance and more than 96 percent percent of Black children have health insurance coverage. Unemployment and poverty rates are declining, while high school, college and graduate school graduation rates are increasing among Black men. Among the adverse outcomes reported, life expectancy among Black men is lower than any other group. This lower life expectancy among Black men is driven by a variety of factors, including homicides, early cardiovascular disease, drug overdoses, cancer and infant deaths. Homicide is the leading cause of death for young black men ages 15 to 34. Asthma is a significant source of morbidity for Black boys, as hospitalizations for asthma are nearly nine times higher compared to other groups. Historically, as in other cities, health outcomes for Black men have been poorer than those of other racial/ethnic groups and women. These persistent disparities illustrate the need for targeted efforts to address the underlying causes of poor health. This inaugural report sets the stage for these efforts and makes recommendations for achieving them. The report points to several areas for accelerating improvements in the health of Black men and boys. Key strategies include providing quality health and education in the earliest years of life, strengthening the educational and healthcare safety nets, promoting and reducing structural deterrents to healthy living, and combating poverty, community violence and racism. While key initiatives to address many of these areas are already underway in the city, public and private stakeholders will be convening this year to develop an action plan for improving the health of Black men and boys in the city. The report is unique not only for its focus on the health of Black men, it also highlights notable Black men from Philadelphia who, while dealing with many of the same health-related issues afflicting men throughout the city, have worked individually or with various organizations to better both their own health and the health and circumstances of other Black men and boys. 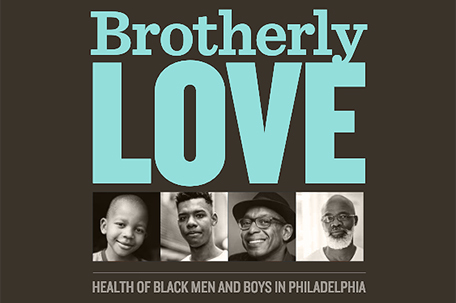 The Brotherly Love: Health of Black Men and Boys in Philadelphia report was developed by the Philadelphia Department of Public Health, the Mayor’s Office of Black Male Engagement, and the Mayor’s Commission for African American Males. 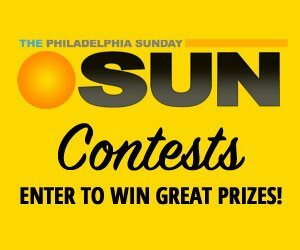 The report can be downloaded from the City’s website: https://www.phila.gov/media/.